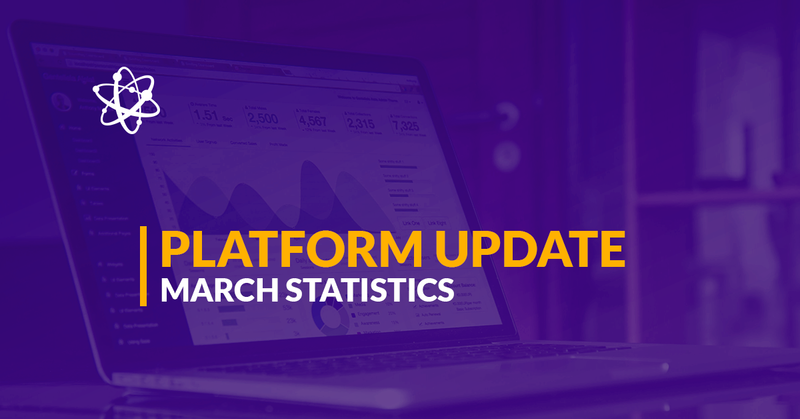 Wholesale industry assets were the most popular among investors on Debitum Network platform in February. The assets had the highest interest rates, so no wonder investors rushed to invest in them. However, one of the key investment rules should never be neglected – always diversify. Diversification reduces risk as funds are distributed among various investment options as well as risk classes. Services industry was overlooked by investors last month. We see no good reason why and in this blog post want to stress why investors should consider adding the assets from the industry to their portfolios. 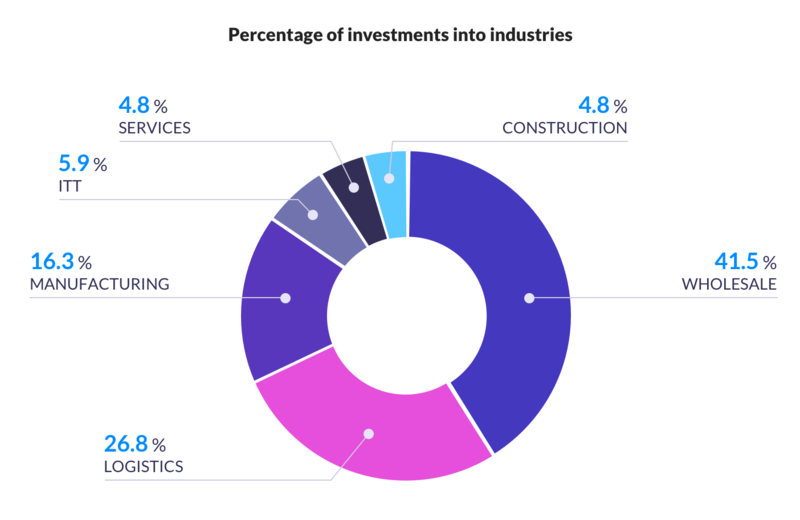 From the chart above, one can see that investors preferred Wholesale, Logistics and Manufacturing industries and neglected ITT, Services, and Construction. Only 4.8% of all the invested money was in the Services industry. Investors chose to invest that way. However, it does not mean that the assets in the industry are inferior, worse or less safe than those of other industries, and in this post, we will prove that they are safe and worth investing in. 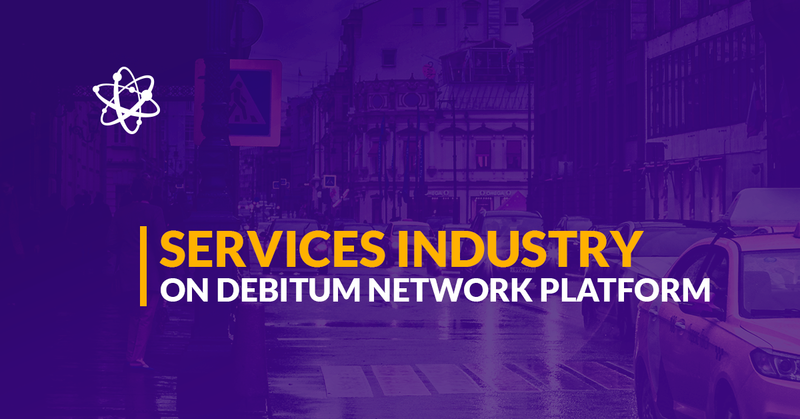 Assets from the Services industry on Debitum Network platform have a high credit rating. They fall within the range from B to B-. The ratings for the assets of Services are presented by our reliable partner risk rating company Scorify. 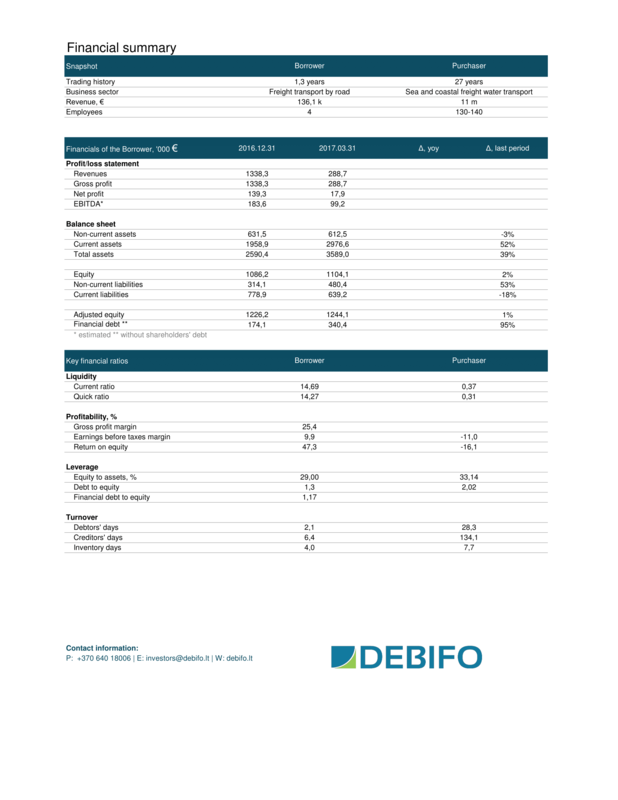 B and B- rating mean that the probability of default of a company within the next 12 months is between 0.55%-1.06%. Thus, we can state that the assets carry very low risk and is a good investment option for investors of various risk tolerance classes, and the best for moderate risk tolerance investors. After an introduction of a buyback guarantee on Debitum Network platform, any asset in any industry (including the Services industry) on our platform has a buyback guarantee. What does that mean for an investor? If a borrower is late with the repayment of the loan (it may occasionally happen) by more than 90 days, the broker (loan originator) who issued the loan will be obligated to buy it back, plus outstanding principal and interest, minimizing the risk for the investor to the minimum. Another thing that makes an investor benefit in case the loan he has invested in is late is a penalty rate set by a loan originator. Investors are now able to see a penalty rate (annual interest rate section) for a specific asset if the borrower is late with the repayment of the asset. The investor will get the percentage of the penalty rate they see, in case the repayment is late by the defined number of days. Current assets from the Services industry have 4.5% as set by our partner and loan originator Debifo. Companies in the Services industry deal with other companies. The latter ones pay for the issued invoices and the services provided. It is important as a company that is offered service is a strong company and long term relationships with the service providing company. It means, there is a better chance that the invoice will be paid for and the loan eventually repaid. These final invoice payers have big revenues from 10 to over 100 million Euros. They are usually long term partners with our partners loan originators, and they have proven to be reliable business entities to do business with. The borrowing companies (that borrow from our partners loan originators) and companies that pay for their invoices are well-known businesses that have been in operation for over 20 years. They have a steady stream of income, operate in a lot of countries, and they have proved to be reliable by borrowing and repaying the loans before. Companies that purchase their invoices are also well-known names in their field and they pay for the services they are provided on time. 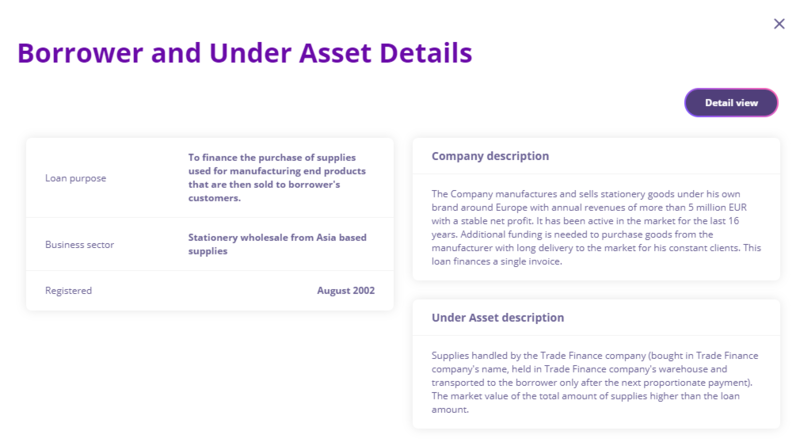 More info about both the borrower and the purchaser of the invoice can be found in ‘Under Asset description’ when you click ‘View’ on an asset bar. If you tend to invest manually and want to get a more detailed financial statement about a borrower, you should look at a financial summary that is often provided by a loan originator and placed in ‘Borrower and Under Asset Details’ window as an attached document. You can download the PDF file and check carefully the financial data, which is both about the borrower and the final buyer of the invoice. You may find some extra useful info that will help you to make up your mind regarding investment into a specific asset. Having outlined all the advantages of investing in the assets of the Services industry we would like to offer investors to add some of the assets from the industry to their portfolios. We have selected the top 2 assets to choose from. Both of them are from the company that has been in business for over 25 years and has over 100 thousand Euros in revenues. The purchaser of the invoices specializes in the transport of refrigerated cargo and container by own ships, with revenue above 11 million Euros.